Super The Iconic Pink Need Help? Done in collaboration with the "Andy Warhol Foundation for the Visual Arts", The Iconic is just that. 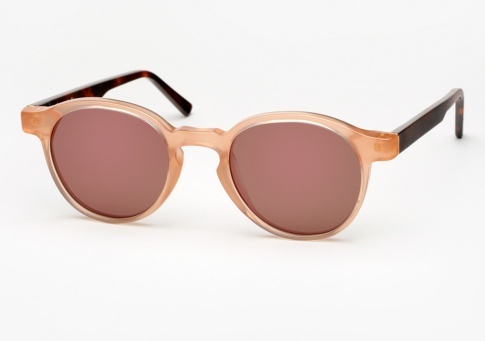 Characterized by its timeless styling and universal appeal, the Iconic Pink sports a soft pink acetate combined with rich classic havana temples. Deep green with a pink mirror, ultra-flat tempered glass lenses by Barberini complete the design.